I first stamped the image then sponged in the clouds, taking care not to apply ink too terribly close to the image lines. 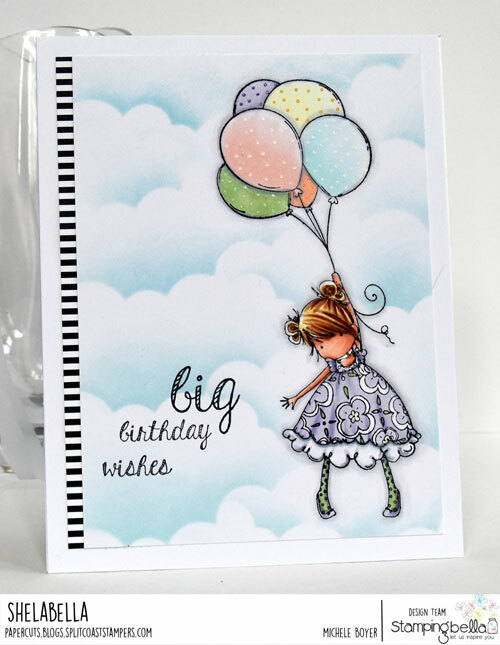 I colored with markers then added dots to the balloons using Kirarina Wink glitter pens. 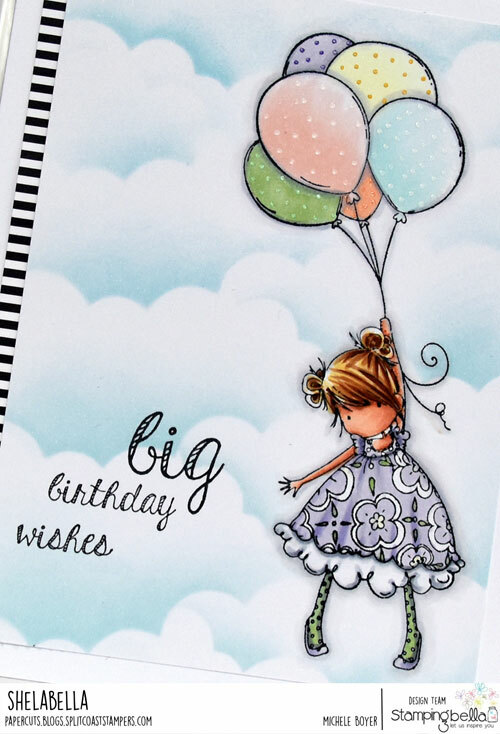 The sentiment is from new Birthday Sentiment Set. On the stamp, the words are in one line but I used my MISTI to reposition each word to better fit my space. I’ll be back soon. Have a great day!